Being in the car with the entire family is one of my favorites parts of going on mountain bike trips. The kids hardly ever ask “Are we there yet?” if a good story is with us. Most of the time they’re eager to get in the car and drive for hours. 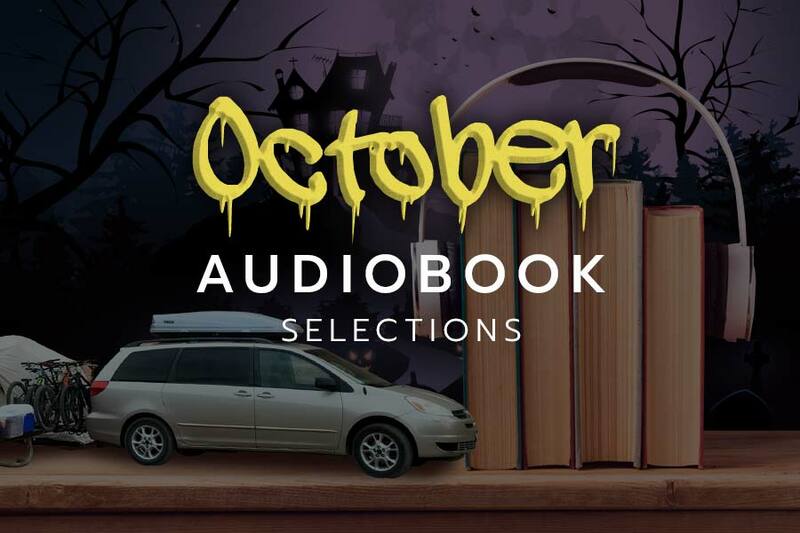 If you have not already heard these three suggested audiobooks, we hope you listen to the samples and give them a shot on your next adventure. 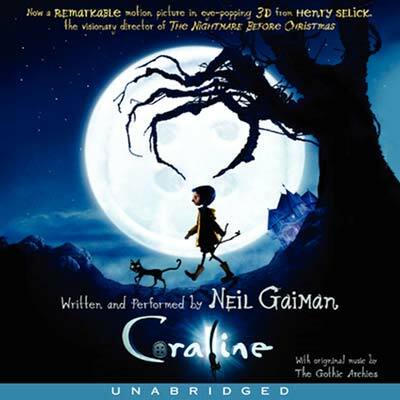 Neil Gaiman creates a shadowy adventure in Coraline, a story of a young girl who is tired of her dreary existence. Guided by her feline friend, her sarcastic mentor, Coraline travels through a mysterious door to a flat that appears strangely like her own. She falls in love with this world and is taken in by her other mother. In place of eyes she has black buttons and despite her otherworldly appearance Coraline is taken in by it all. After her parents are kidnapped, Coralline travels back through the door to save them. She is confronted by new friends and stranger truths before she strikes a deal to save herself, her parents and her new ghostly friends. Coraline uses her wits and bravery to find her way out of the other world and she succeeds in dismantling the nightmarish place created by the other mother. Jim Dale’s soft and commanding voice brings the world of J.K Rowling’s creation to life in Harry Potter and the Sorcerer’s Stone. This is the first story in a series of 7. 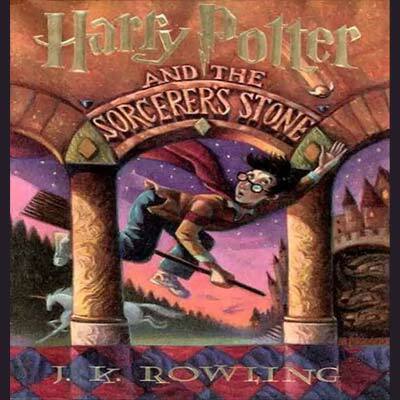 Harry Potter is the boy who lived – and is currently under the stairs in his aunt’s home. Treated like a servant, bearing the brunt of his cousin’s bullying, Potter is unaware of his magical heritage. After ten years of living at Four Privet Drive, Harry receives a letter delivered by a gentle giant of a man named Hagrid. Harry learns that he is a Wizard and has been accepted to Hogwarts School of Witchcraft and Wizardry. Guided by Hagrid, Harry prepares for his new life away from his relative’s home. He learns of his fame, retrieves his inheritance, boards the Hogwarts Express and meets Hermione and Ron. Harry’s time in Hogwarts is met with excitement and danger as he is confronted by the villain who tried to kill him as a baby. In The Witches, Roald Dahl takes us to a place where witches are real and they hate little children. 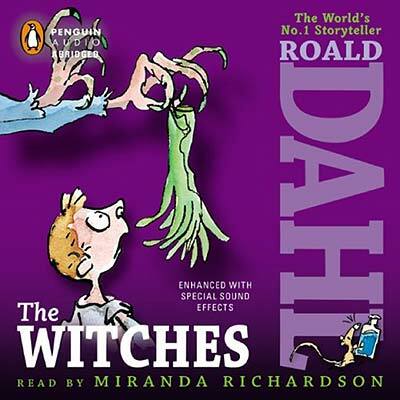 The narrator is a young boy and his grandmother tells him about the wicked oculists. He learns what they look like and that they can be anyone he encounters. The narrator travels with his grandmother and when accidentally spying on the withches’ convention at a hotel, he learns that they have a dastardly plan.